Most Orange County residents spend a great part of their life on the road. According to the California Office of Traffic Safety, in Orange County there are over 20,000 reported accidents with injuries or fatalities per year. Losses from serious accidents can be an unfortunate reality. The team of lawyers at Gokal Law Group, Inc. go above and beyond to protect clients and maximize recovery. In California, the Financial Responsibility (Insurance) Requirements for Vehicle Registration requires a minimum liability insurance for private passenger vehicles (California Insurance Code 11580.1b) of $15,000 for injury/death to one person and total of $30,000.00 for injury/death to more than one person. What this means is that for a party that is seriously injured or killed by a driver carrying minimum policy requirements, the injured party or their family will only recover $15,000.00 from the liable partys insurance company. From experience, we regularly assist victims who have been seriously injured by irresponsible drivers with insufficient insurance coverage. Where insurance coverage is insufficient to cover the harms and losses caused by dangerous drivers, we literally will leave no stone unturned to find coverage for our clients. We even send private investigators to the crash site to determine if there were any other causes of the accident. We often find multiple causes for accidents which are often overlooked in police reports. Automobile manufacturers are legally responsible for making safe products that dont cause accidents and keep their occupants safe in crashes. Gokal Law Group, Inc. has extensive experience in holding manufacturers of automobiles and car components responsible for selling unsafe products. There are a number of ways automobile design and manufacturing pose a risk to the consumer. This includes everything from defective airbags, defective brakes, and defective tires to name a few parts that could fail. Our team of mechanical engineers have the ability to run computerized tests and analysis to determine exactly what went wrong. Most modern cars are equipped with black boxes similar to those found in airplanes. These black boxes can record vital crash statistics that accident reconstruction experts can use to figure out what exactly occurred moments before impact. The information includes vehicle speed, throttle position, airbag deployment times, whether the brakes were applied, if seatbelts were worn, engine speed, steering angles and more. If we are contacted reasonably soon after the impact, we may be able to get our experts to extract vital information in preparing our case. THE SOONER YOU CONTACT US THE MORE EFFECTIVE WE ARE AT GATHERING AND PRESERVING NECESSARY EVIDENCE BEFORE IT DISAPPEARS. The more time that goes by after an accident until we are involved, the harder it is for us to complete a thorough investigation. Once a car has been deemed a total loss, insurance companies often destroy the vehicle soon after making the insurance payment. Similarly, witness are harder to find and their memories quickly fade. The more information we have the better we can advocate for our client. 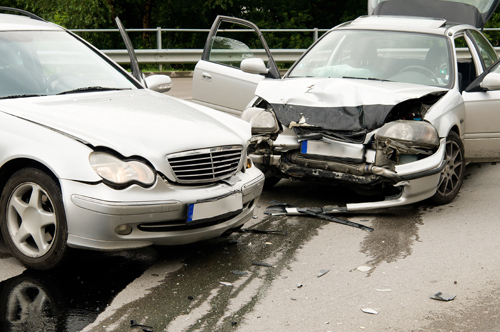 It is important not to delay in contacting Gokal Law Group, Inc.?after a car accident. MAL FUNCTIONING AIRBAGS AND OTHER AUTOMOBILE DEFECTS OFTEN CAUSE SERIOUS INJURIES AND MAY MAKE THE MANUFACTURER LIABLE FOR INJURIES SUSTAINED IN CRASHES. Other automobile defects include: Fuel System Failures; Defective Tires; Inadequate Side – Impact Protection; Roof Crush/Rollovers; Door Failures; Seatbelt Failures. If you think you have been injured by a defective vehicle it is important to call us immediately so that the vehicle can be inspected before it is altered in anyway or destroyed.